Military sources yesterday rejected former President Goodluck Jonathan’s claim that his administration bought warships and aircraft. 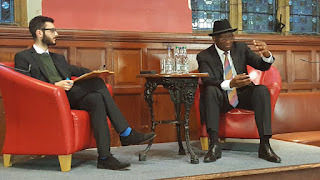 The former president, who spoke at a lecture he delivered on “Youth Entrepreneurship” at the Oxford Union in the United Kingdom (UK), tried to exonerate former National Security Adviser (NSA) Sambo Dasuki of corruption allegations involving $2.2 billion voted for arms procurement. 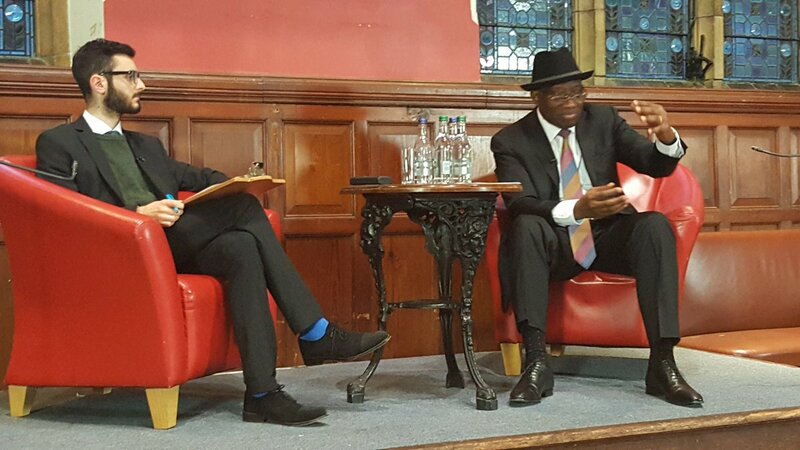 Jonathan said he did not believe the former NSA stole the money because weapons were bought for the military to fight Boko Haram. Independent checks by The Nation revealed that the former President might have been deceived by his officials on the type of weapons that were bought for the military. According to several military sources who asked to remain anonymous because of the “sensitivity” of the matter, many of the weapons bought under the former president were “unserviceable and useless”. NAF recently reconfigured two demilitarised Alpha jets in its inventory. According to the NAF website, the jets were bought from the United States in 2015 to help in the fight against Boko Haram. “The two aircraft are among the four Alpha Jets bought from the United States in 2015 by the immediate past administration to enhance the operational capability of the NAF to combat Boko Haram insurgency in the Northeast. “The aircraft, however, before now, could not be deployed in the theatre of operation due to the inherent weapon delivery deficiency, hence its limited use for training purposes. The urgent need in recent times to commit all NAF available platforms to OPERATION LAFIYA DOLE to enhance the success of the counter insurgency operation necessitated the Service to look inward to seek ways of achieving its drive for self reliance through research and development. “ A number of vendors invited to Nigeria to assess the platforms had concluded that it would be difûcult or almost impossible to undertake the project since the Original Equipment Manufacturer had long closed down the production line. A few others who agreed to the possibility of having the aircraft reconfigured to carry munitions have also submitted proposals for initial assessment fee ranging from $20,000 – $30,000 before they could come up with the actual cost for the project. Convinced that the project would work, the NAF consequently assembled a team of technicians to develop a feasible model for the project. The model worked on ground, and has since been mounted on the Alpha Jets, and test fown successfully. This feat is a major research and development breakthrough for the NAF and the nation as a huge foreign exchange saver, given that the project only cost about N4,000,000.00 compared to what would be required to have it done abroad,” NAF said. However, the former President may have been referring to the purchase of six decommissioned Norwegian battleships, bought purportedly on behalf of the Navy by former Niger Delta militant leader, Government Ekpemupolo, also known as Tompolo. The purchase had caused a huge row in Norway forcing that country’s military leadership to apologize to the lawmakers. The battleships were said to be used for anti-piracy operations on Nigerian waters. The Director of Information, Nigerian Navy, Commodore Christian Ezekobe, did not respond to our correspondent’s questions on the whereabouts of the battleships. However a search on the Navy website revealed that the service has 24 battle ships purchased over several years while it still awaits one battleship built in China, NNS Unity. The Nigerian Air Force (NAF) is seeking to add an additional C295W military aircraft to its fleet as the battle against Boko Haram reaches an advance stage. NAF has been crucial to the recent victories recorded by the military in the Northeast, through series of sustained aerial bombardment of camps and locations of Boko Haram militants. The aircraft is to be purchased from Airbus Defence and Space Company (Spain), which had earlier in the year made proposals to the NAF. The Chief of the Air Staff (CAS), Air Marshal Sadique Abubakar, had played host to Spanish Ambassador to Nigeria, Alfonso Barnuevo Sebastian De Erice, who led two executives of Airbus Defence and Space Company to the NAF Headquarters and held discussions on the company’s proposal to sell the C295W military aircraft to the NAF. According to NAF, based on its operational capabilities, the aircraft was considered suitable to meet some of its operational needs, including Intelligence, Surveillance and Reconnaissance (ISR) and airlift operations. The air force has also recommended the aircraft for acquisition and provisions have been made for this in the 2017 budget proposal. The CAS urged the visiting team to start looking into training areas for NAF pilots and technicians on the aircraft. This, he said, is with a view to ensuring a smooth take-off for the operation of the aircraft in the event of its approval by the Federal Government.